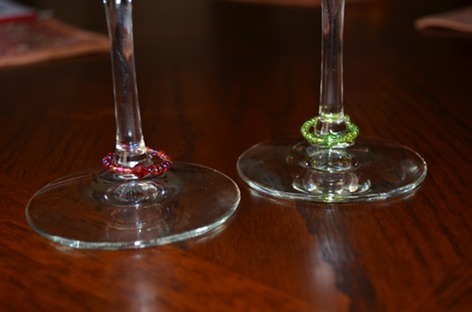 These are simple "rings" that you can slip on your wine glass stems to dress it up! (plus, it will help you keep track of which is your glass!) Made with Crystals and/or Glass focal bead, and glass seed beads. Colors may vary by set, but you will get six different colors. 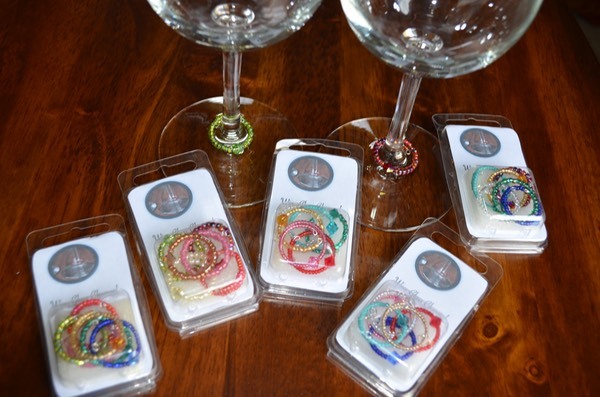 Just $5 for a set of 6!